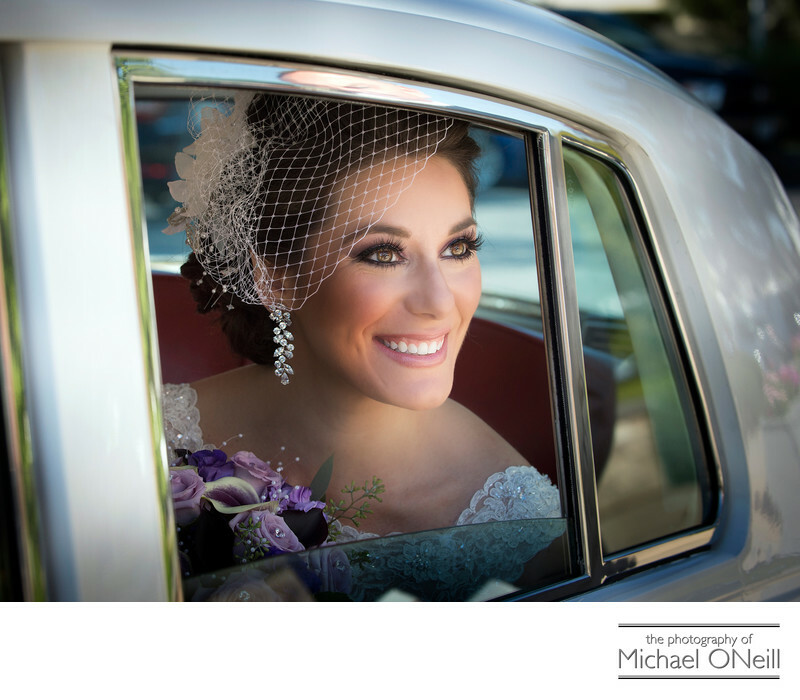 A beautiful picture of the bride in the back seat of her vintage limousine. The old car had just rolled up in front of the church. In just a few short minutes she will take her father’s arm and make her way up the aisle at church. Her friends and family will watch her grand entrance as "Here Comes The Bride" (The Wedding March) rings out from the pipe organ in the balcony above. Her fiancé (soon to be her husband) is waiting at the altar at the end of the aisle. He is looking on in awe of her beauty as he sees her in her wedding dress for the first time. I love capturing these fleeting moments on a wedding day. Acting not only as a portrait artist but also as a wedding photojournalist, discreetly capturing those special looks...the real, honest moments and expressions that capture and preserve all the joy and excitement of the big day. People often compliment me on my ability to get the right shots at the right time. This is not serendipitous, folks. The ability to anticipate the action...what is going to happen next...and to have my camera ready for it comes from years and tears of practice...years of experience. When it comes to your wedding day don’t trust your precious moments to an inexperienced photographer. You don’t want somebody practicing on the most important day of your life. Trust those precious memories to a photographer who has decades of experience and is as enthusiastic about capturing your memories as you are about preserving them.